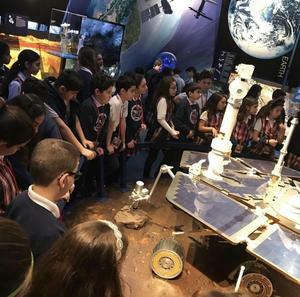 Winners Circle Filled With Chamlian Students at AESA Science Olympiad! 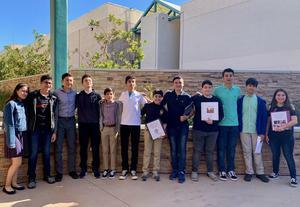 Furthermore, we would like to congratulate our Honorable Mentions: Rafael Enfiadjian (not pictured), Adam Muradyan, Nareh Almassian, Isabella Kedikian, and Gregory Prusalian. 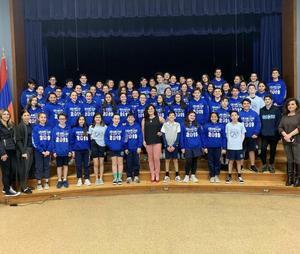 Our 8th graders had the honor of hearing Ms. Shantal Der Boghosian, an environmental engineer as well as a business owner/entrepreneur, share her story of achievement. Hearing her inspiring journey in her career as well as fulfilling her dreams truly cemented the ambition and urge to succeed that our Tigers are accustomed to. 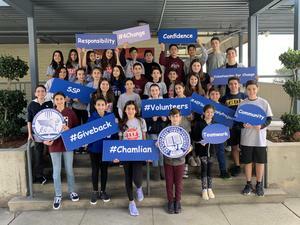 Chamlian Participates in Armenian Educational Foundation's School Supply Project! 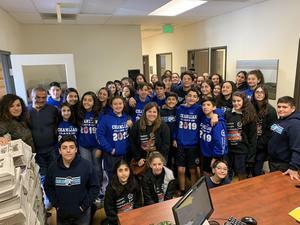 Members of our Chamlian Armenian Club, Booster Club, and Student Council spent their Saturday volunteering for the Armenian Educational Foundation’s School Supply Project! What an amazing opportunity to assist our brothers and sisters in the Homeland further their education and continue the advancement of this great cause! 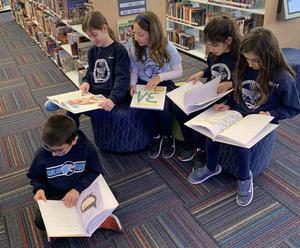 Third Graders Celebrate Book Release Party! Chamlian Enjoys Read Across America Day! We celebrated Read Across America Day today! Aside from the adorable literature themed attire, our students had the honor of reading with Chamlian alumni who graciously took the time to volunteer and share the beauty of reading with our Tigers! 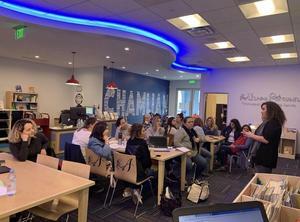 Professional Development Day in full swing at Chamlian! Our dynamic faculty participated in various workshops designed to uphold the strong and rigorous standards already in place at Chamlian. Thank you to our guest speakers, including a volunteer parent, Ms. Nora Chitilian, for their informational and inspirational workshops! Our adorable 2nd Grade Tigers performing their hearts out in honor of Paregentan! 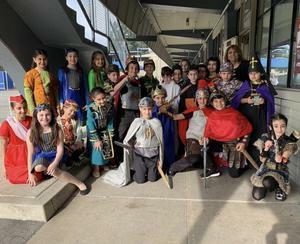 They had a blast dressing up and displaying their musical talent alongside their beautiful recitations. Keeping Armenian traditions going is a vital part of cultural preservation - at Chamlian, we’re proud in playing our part!